Jean-Pierre Loubinoux was born in 1956. A graduate of the Ecole Centrale Paris, he worked at the French Foreign Trade Delegation to Hong Kong (1977-1978) before joining French railways SNCF in 1978, where he held various responsibilities including Director of the SNCF General Delegation in North-America and Chief Executive of French Railways UK Ltd in Britain. 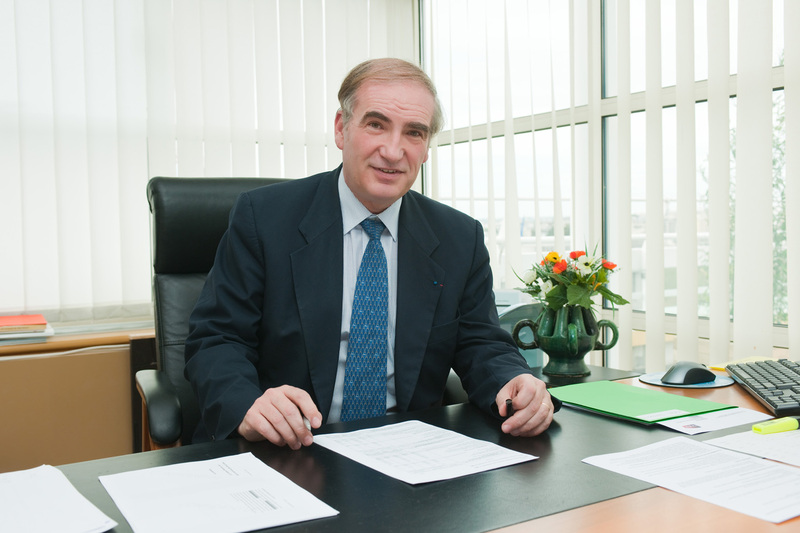 He then joined the SNCF Freight Department where he successively managed the Coal-Steel Business Unit and the Human Resources, Data Processing and Finance Department before being appointed Chief Executive of SNCF Freight International (2001) and from 2001 to 2009 Chairman and CEO of SNCF International and SNCF Director of International Development. In March 2009, Jean-Pierre Loubinoux was appointed Director-General of the International Union of Railways (UIC), the worldwide association representing the rail sector and encompassing 230 railways across all the continents. His mandate was renewed at the June 2010 and July 2012 UIC General Assemblies. In addition, Jean-Pierre Loubinoux holds responsibilities in a large number of institutions and associations: French Foreign Trade Advisor and Chairman of the Transport Committee, Chairman of the Medef International France-Argentina Committee, Vice-Chairman of the Ecole Centrale Association, Chairman of AFFI (the French association of railway engineers and managers), Member of the Chartered Institute of Transport and Member of the Board of the US High Speed Rail Association. Jean-Pierre Loubinoux has been awarded the Legion of Honour and is a holder of the Silver Medal of the French Ministry of Equipment, Transport and Tourism. In 2011, Jean-Pierre Loubinoux received his insignia as Commander of the French National Order of Merit – one of the highest decorations in France along with the Legion of Honour.